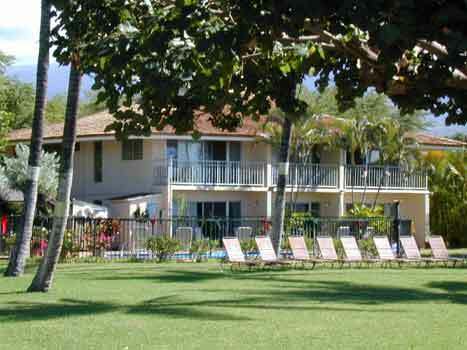 Our beautiful Leilani Kai Resort is located on Maui's Gold Coast in sunny Kihei. We are a fully furnished OCEANFRONT condominium resort that is close to shopping, snorkeling, fishing, beaches, tennis, golf and restaurants. We are a quiet eight-unit resort that has a friendly and familiar atmosphere with the most spectacular sunsets! All of our units are fully furnished with ocean views! Full Kitchens with microwaves, dishwashers and garbage disposals. All you need to do is shop for groceries! Cable service with color televisions, VCR's and DVD's. Free wireless internet! Ceiling Fans and Safes in each unit. Private lanais with ocean views. A perfect spot to watch the beautiful sunsets. Each unit has beach towels to use while you enjoy our salt water filtration swimming pool. That's right, no chlorine to burn your eyes...no harsh chemicals. We use the latest state-of-the-art technology. Pool hours are 9-9 daily. On-site gas barbecues and coin-op laundry service. Spacious oceanfront landscaped grounds with 21 palm trees on the property. On-site management to better assist during your visit.